Deck out your ride in Texas Longhorns pride inside and out with this Texas Longhorns Steering Wheel Cover. 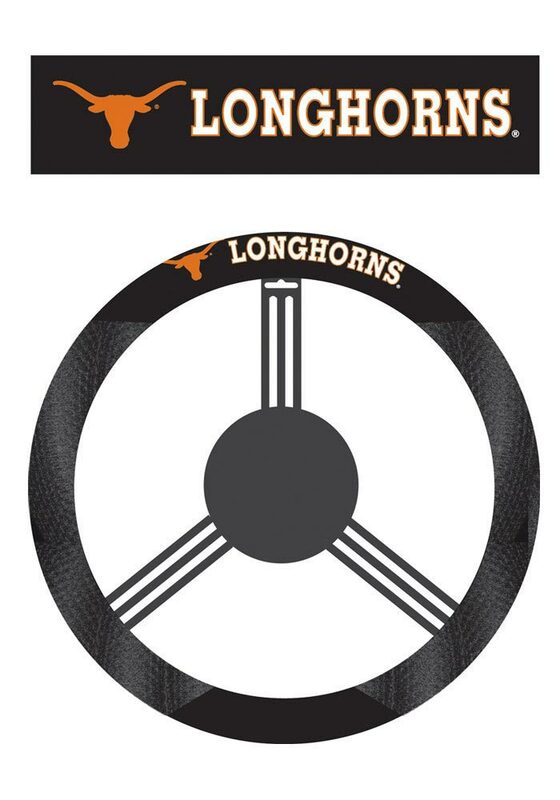 This Steering Wheel Cover features a Texas logo with Longhorns next to it and will look great in any car. Hook Em Horns!